I love my boys dearly, and I do crazy things with them by myself all the time. Remember our #70DayRoadTrip? That said, if there is one thing I absolutely dread doing with my boys, it is clothes shopping. It is such a headache. This boy likes this, that boy likes something else, and they all like picking and yelling at each other. Do that across multiple stores and multiple days, and I am ready to check into the crazy house. For the last two months, I have been sharing with you how Zappos.com has made shopping for the boys' back to school looks so much easier. Today, I want to focus on letting you know about our overall experience. As a consumer, I know how important it is to know about the whole experience, and not just how someone might feel right after ordering. It has been about two months since our items from Zappos.com first arrived, and everything is still going great. Ordering was simple, and I was happy to see that shipping is always free! Thankfully, there was no need to change sizes or send anything back, but I am confident that if there had been, they would have been fast in getting it back to us. I love that I didn't have to drag four boys from store to store, and that we could browse everything from home. I also appreciate their awesome selection of shoes and the brands that they carry. The prices were affordable, but not the lowest that we have seen locally. If there was one thing that I wish was a bit different about Zappos.com, I wish there would be more variety in the type of clothing offered for boys. The shoes have great variety, but we found the majority of the clothes to be more on the sporty side, with little to no graphic tees, which is just about all my 12 year old will wear these days. That said, my oldest loved their clothing options and his favorite outfit is from Zappos.com. He would wear it everyday if he could. We made a short Instagram video to show why we like doing our school shopping at Zappos.com, you can check it out below. The boys have already picked out some items that they have on their wishlist for the next time we order, like more Sperry boat shoes for Joshua my oldest. He loves them! How do you make shopping with the kids less stressful? Shopping at once that way for all the kids would be such a blessing. I love their stylish choices for your handsome men. So so stylish! I need to get some new shoes for my son! Wow what a great selection! I need to check them out. I've never bought from Zappos before. Love the car canvas shoes. Not taking them? LOL I try not to. I know their sizes so I do a lot of shopping on my own and if we absolutely have to return something, again, by myself. As they get older they can try joining for shopping, but for now I'll do it. What a great selection. I love them all! I love Zappos and their awesome shoe selection. When we do back to school shopping instead of taking them all at once. We break it up into one at a time. That way it's a special day for them. Then we do a huge family trip to the city for the teen. I'm totally loving the Hatley shoes! Variety of selections for sure, my youngest would love the car shoes and I like the red and black ones. 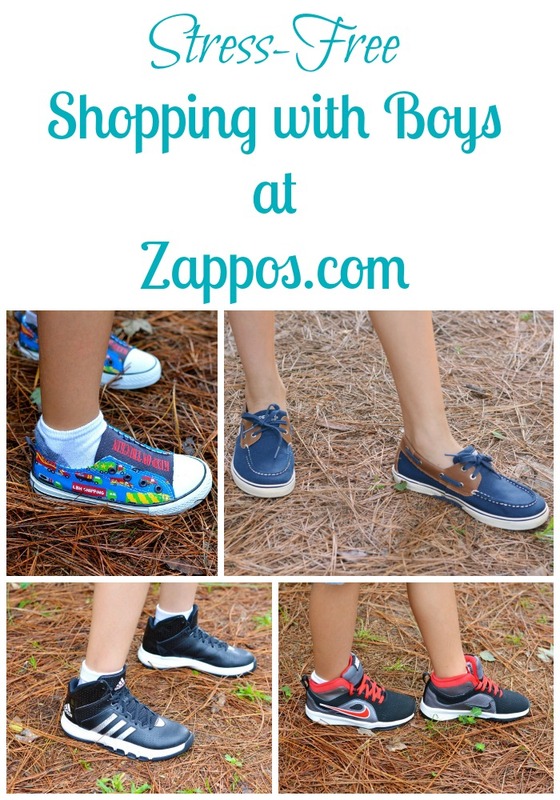 I haven't tried zappos shoes yet, wonder if they have them in my teens' size, so hard to find him shoes these days. I love shopping at Zappos! They have such a wide selection for the entire family and with their fast and easy return policy you're never stuck with something that isn't quite right. Fabulous!